We usually reach out to people and ask them to tell us their Kratom Stories, but our subject this week was… different. He begged and begged us with so many emails and DMs that it got uncomfortable. Against better judgement, we finally responded to him. He goes by the peculiar name of Gott Scottleebers, and has an equally peculiar Kratom Story. 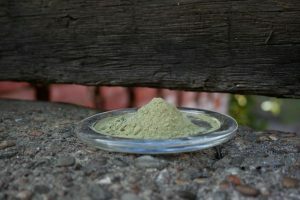 KratomScience: Where are you from, in case I have to alert the police? Gott Scottleebers: I’m from Middle America where all regular average Americans like me live. KS: I hear the weather is nice there this time of year. What do you do for a living? GS: I’m Commiss– I mean! I work at an average American job like in a mill or something. Well, I used to work, until I became a drug addict and quit my job, just like what all drug addicts do. Now I just lay in a dirty alley all day next to a dumpster because I’m addicted to the kratoms. KS: That’s weird. 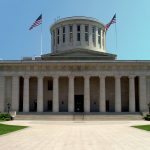 Most of the other folks we’ve interviewed told us kratom helps them go to work, not the other way around. 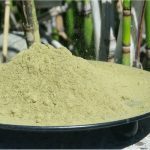 How long have you been consuming kratom? GS: One week. That’s all it took. Last week I was about to be promoted as Head Mill Boss at the mill, where I really worked, and then I injected one kratoms and it destroyed my life. It was like a cheesy after-school special they used to put on network TV in the 80s. KS: Ooooo-k. Sounds like tough manual labor. Usually manual laborers who consume kratom say it helps. What kind of mill was it anyway? GS: Um. I think we made Doritos or something. It was a Dorito mill. KS: Why do you use kratom? Did it help you get off opioids or other drugs? GS: No no no, you’ve got it all wrong. 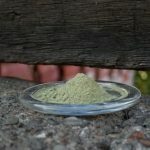 Kratom IS an opioid. According to real facts printed in a small Mississippi newspaper it’s 13 times stronger than morphine. Let me tell you a story. Last week I was walking home from the Dorito mill, and I heard a voice from a dark corner. “Psssst… Hey, Daddio,” said the voice in a cool hepcat way that both intimidated and intrigued me. I couldn’t resist the peer pressure. Because I wanted to be cool and hip, I took the dirty kratom needle and injected it right into my eyeball. In one week I have spent $4800 injecting kilos and kilos of the kratoms into my bloodstream. My wife divorced me and took the kids. I lost my job, house, and car. My friends won’t return my calls, and my dog uses me as a fire hydrant. Every time I tweet something, I get yelled at by a bunch of people. My life is over because of the kratoms. KS: What are your preferred strains? 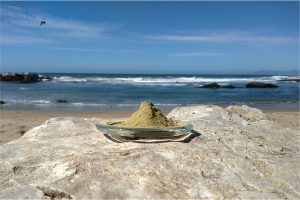 Do you have a favorite way of preparing kratom? GS: I like Bali in the morning and Red Vein Kali at night. I pour a kilo into a 10 gallon pot and boil it in e-cigarette vape oil. Then I spend all day dunking a syringe the size of a turkey baster into the tea and injecting it into whatever vein I can find. At night I’ll do this all over again with the red strain. I’m one of those kratom junkies with $1000 a week habits you hear about in the wonderful and completely accurate local news media. We constantly spend every waking hour cramming kratom into every vein and orifice. GS: Are you kidding? I trip balls! I smell colors, see sounds, all of that. Aliens, lizard people. I thought I was God once until I actually saw God… he’s much taller. Also, kratom carries this eerie tropical disease from the deep dark jungles of Indonesia called “salmonella”. You can’t get that from regular food you buy at the grocery store, ever. If you could, then the all knowing and all loving FDA would ban all produce and chicken and eggs, which would be the best solution for dealing with salmonella. GS: Not at all. 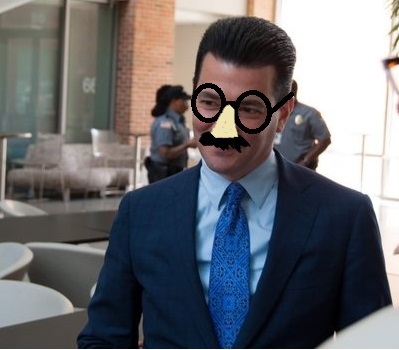 In fact I’m busy directing my underlings to seize kratom shipments at the border. KS: You have the power to do that as an unemployed mill worker? GS: Wait… I must have hallucinated that last thing I said. I am so goofed out right now on mickey finn kratom balls. Listen I have to go inject my next fix and do other various anti-social things that I like to do as a kratom junkie. Remember, kratom is an opioid! And that’s bad! Very bad! KS: Great. Have a good one. GS: Cool talk to you guys later! KS: If you contact us again, we’ll file a restraining order. I can”t believe one of my Dorito mill coworkers could do such a thing. Awful.